Mai Kojima is a slightly ditzy 16-year-old. She's gotten her first boyfriend! They've been dating for 3 months. Even though they should be at their most lovey-dovey, they haven't been able to make out at all... That’s because her boyfriend Yu-kun is a super exam-taking student aiming for T-University. Every day is an uneasy one without much hugging or kissing. "Come on, I wanna do more lovey-dovey stuff!!" This is my first time writing a review, so please bear with me. The story is pretty short and straight to the point, so it's a quick read. It's also kind of cliche since it uses the 'opposites attract' plot to justify the characters' feelings, and that in itself makes it feel sort of lacking. I sort of wish that there was a scene that at least explains the guy's feelings though, since I feel like that would have given the story more depth. The art was smooth and simple, which was really nice. The main character is really spunky, and it is easily shown by her movements and facial expressions. The characters were what really grabbed my attention. While the main guy is your average shoujo manga cool type that happens to be really nice and protective on the inside, it's the main girl that I just absolutely love. Her reactions make her so realistic that I could sometimes see myself in her. She is either a hopeless romantic or just a plain pervert, but it is all somehow in the right place. What I really like about her is how she grows to be less selfish by picking up clues along the way. The manga overall was a really nice find. And the extra chapter at the end, called 'Boyfriend', deserves plus points for being a nice touch to the manga. 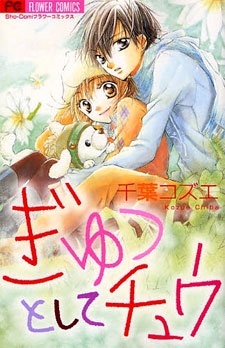 This was a very cute manga and was so close to getting a 9. The story is of a girl who meets an intellent, study-orientated guy who agrees to go out with her. Mai, the main girl, struggles to get her feelings through to him. She is almost the opposite of him but hey there's the old saying that "opposites attract". I loved the art and the story and for once I really liked the main girl, she has character and isnt the same as all the shoujo characters you get. The guy is a bit mysterious but he has a hard outer shell with a gooey inside. The parts that let it down was Mai's "friend" who just seemed to put her down all the time, at times she was funny, but then most of the time she was mean. Alsoo the story kinda abruptly ended. I hate endings that don't go further, I mean you could extend the story to when he goes to uni/college, or maybe he doesn't get in, they meet parents etc. It just ended on a stupid note and it really bugged me.